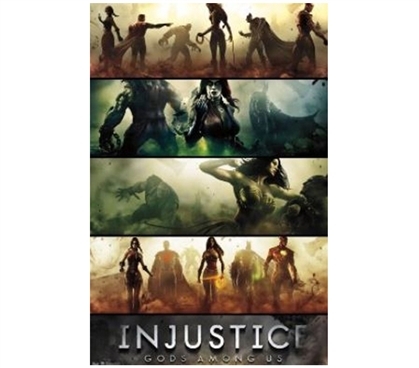 Epic posters make for epic dorm room decor, so have this Injustice Poster on display as one your wall decorations for college. Those boring dorm rooms require cheap posters in order to bring some life to them, and if you're looking for all-around epic-ness while dorm shopping, then this is the dorm supply for you. Yes, you'll need a regular dorm laundry hamper and some sort of shelf for dorms, but, when you can, make your other college supplies more epic and make sure they look great. That's easy to do with cool posters for college. Plus, we can assure that shopping for dorm posters is fun and, best of all, posters are cheap dorm stuff.